Lisa Zurk, ’95, is the next executive director of the Applied Physics Laboratory. 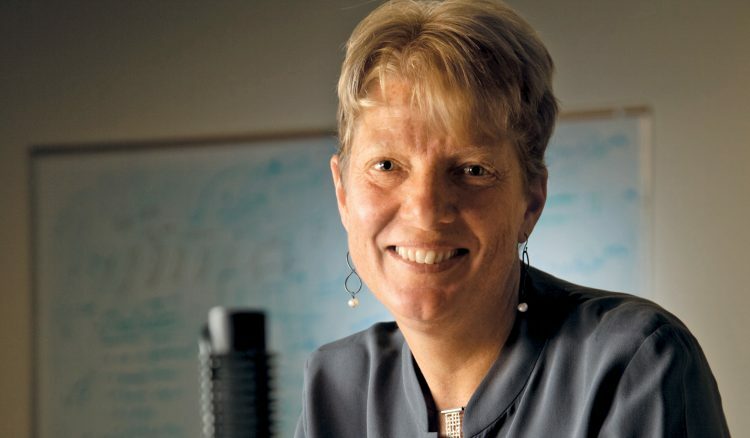 After 74 years, a woman will lead the Applied Physics Laboratory (APL). Lisa Zurk, ’95, is the next executive director of the UW-affiliated Navy research center, which the federal government launched in World War II to develop wartime tech. APL now researches underwater acoustics, polar science, medical tools and remote sensors for climate change. “I don’t want to choose a favorite child,” Zurk says when asked to name the project she’s most excited about. Currently a D.C.-based program manager for the federal government, Zurk will leave the capital (and a tenured gig at Portland State University position) to join UW’s Electrical Engineering program in the spring. She got her Ph.D. from that program, after grabbing two other STEM degrees from Northwestern and the University of Massachusetts, Amherst.